Kauser Jan is the winner of this year’s Blair Peach Award. 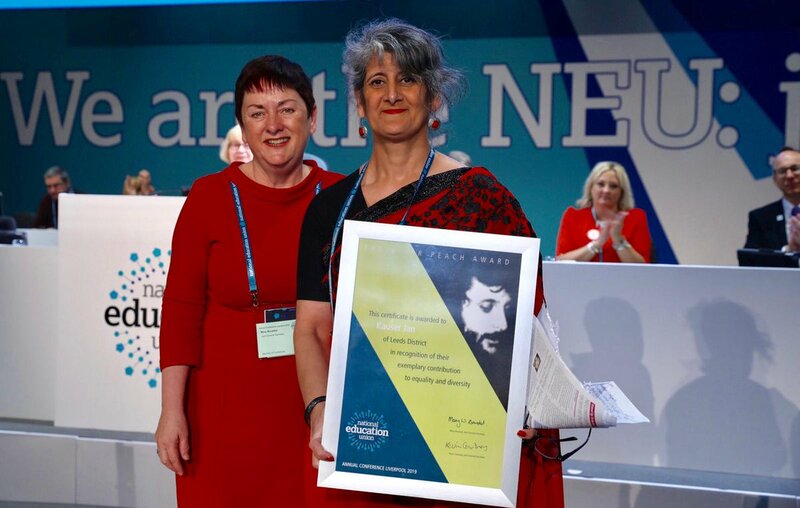 The award is named after the past president of East London NUT who was killed during an anti-racist demonstration in Southall, London on April 23 1979. On the day of his death, Blair Peach was marching against the far-right National Front. The award is granted to individual members or groups of members who have made significant and exemplary contributions to LGBT+, race, gender, and/or disability equality in their school or division. Kauser Jan has been involved in a variety of campaigns, but, as her nomination states, “the main focus of her activism is centred on the cause of equality and diversity.” Most recently Kauser organised a Challenging Racism in Schools conference in Leeds. She intends for this to become an annual event.